A coalition of community organizations and other groups are behind a new effort now underway aimed at registering more people to vote. 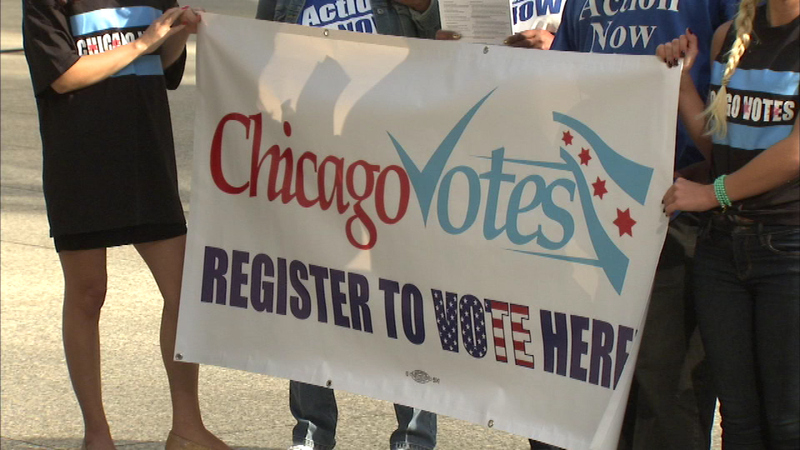 CHICAGO (WLS) -- A coalition of community organizations and other groups are behind a new effort now underway aimed at registering more people to vote. They held a rally at Daley Plaza before branching out to several locations across Cook County to each out to potential voters. Tuesday is National Voter Registration Day. In the buildup to this new effort, the Cook County Clerk's office signed up about 700 high school and 50 college students to vote last week.